The Leviathan is finished for now. 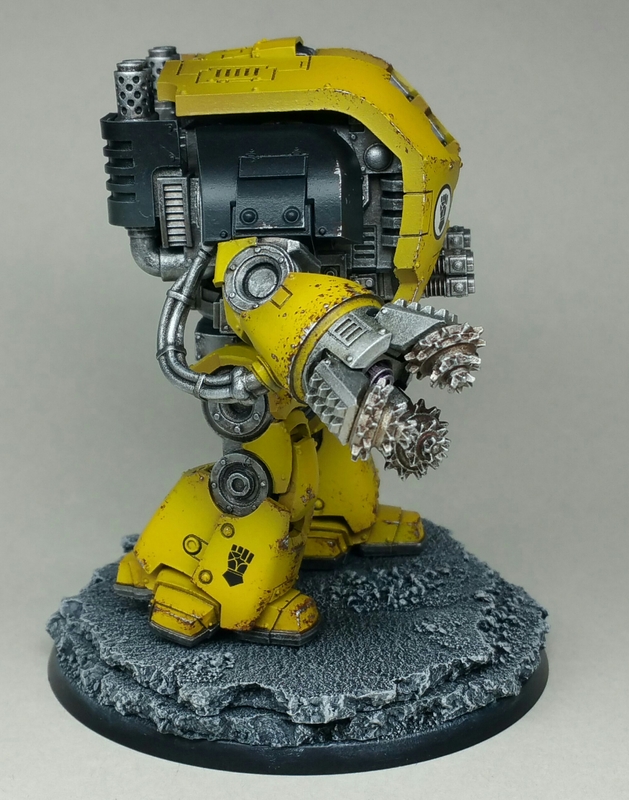 I’m going to go back and add a little bit more weathering, mostly streaking and add pigments to the base, but I need to start another project. 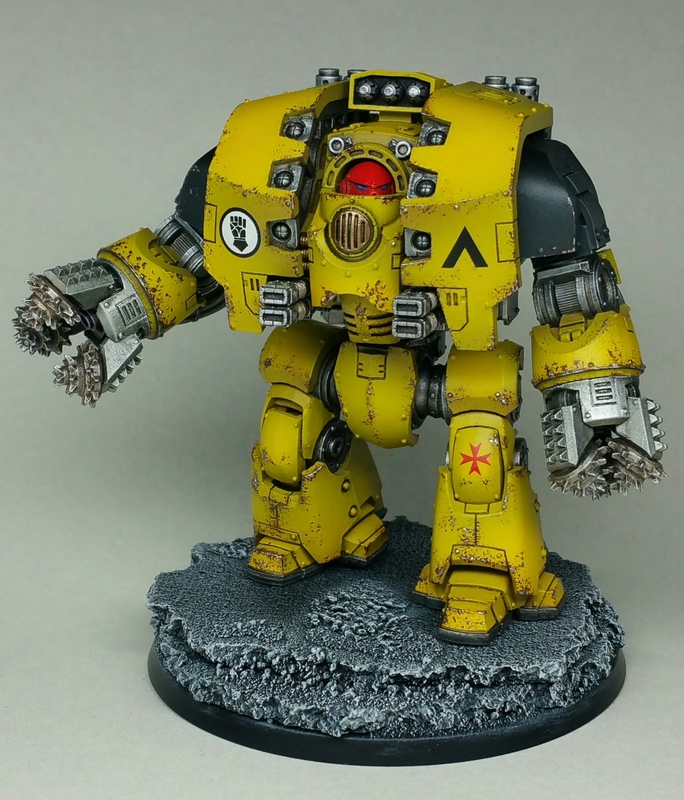 I’ve loved painting this, but I really enjoy working on dreadnoughts anyway. 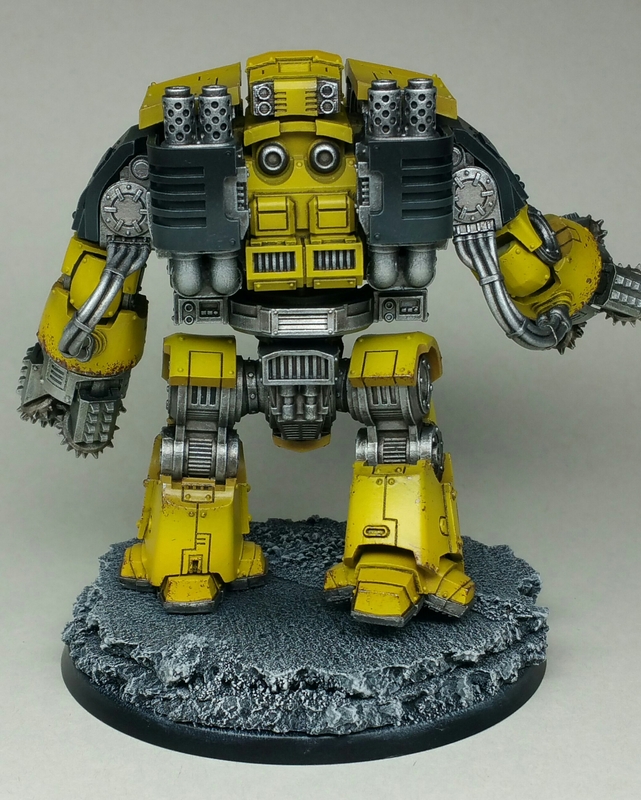 Just like my Castellax in my Mechanicum army, big stompy robots are cool! Next Next post: Time to get back into blogging. That looks cracking! 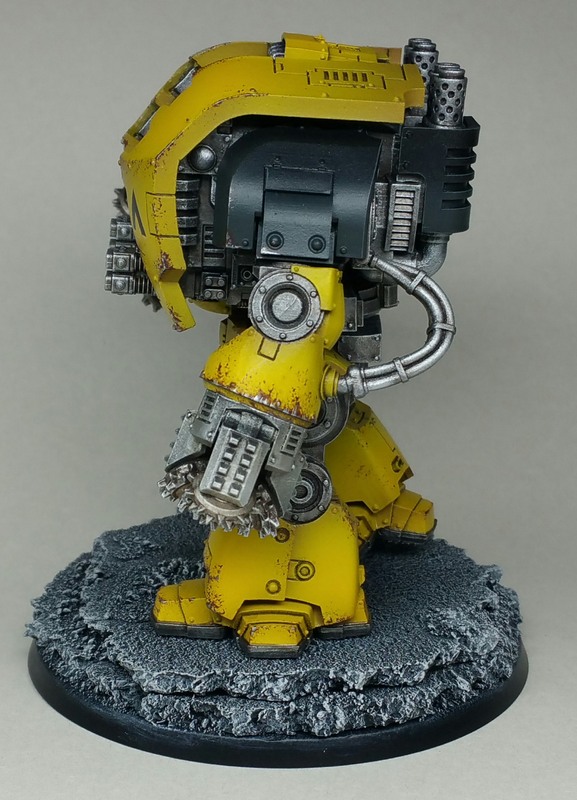 I’m not a fan of the contemptor style (I know – I’m pretty much alone in the world on this issue) but the Leviathan is much more to my liking. You’ve done a grand job with him. Thanks very much. It’s such a brutal design, I need another! It was a total suprise at the Open Day. Forgeworld are good at keeping secrets. Not slagging GW, FW are a smaller and, presumably, more tightly knit team so it must be easier for them, but they do seem much better at being open with their customer base – or springing surprises on us when they want to.